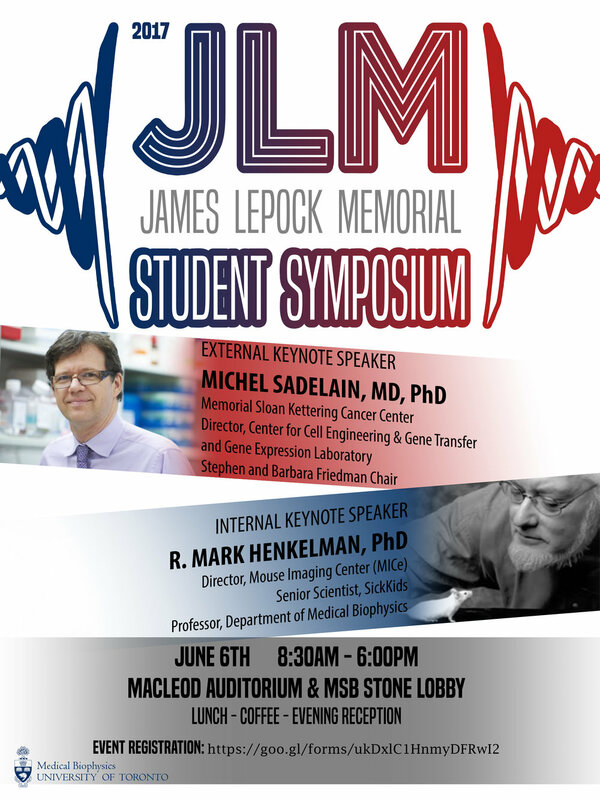 We are very excited to introduce this year's JLM Symposium, which will take place on June 6, 2017 at the MacLeod Auditorium and Stone Lobby at the Medical Science Building. This year, we are pleased to introduce Dr. Mark Henkelman (SIckKids) as our internal speaker and Dr. Michel Sadelain (MSKCC) as our external speaker. Please register to attend via our online form. You can download a copy of the Abstract Book here. We are looking forward to seeing you at this year's Symposium!